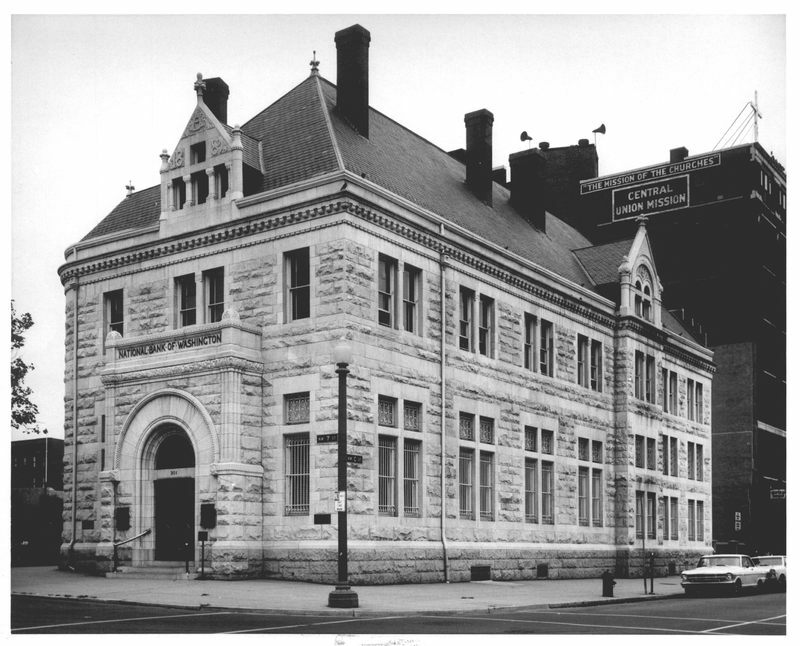 Headquarters of one of city's longest-lived banks and founded in 1809 as the Bank of Washington, this was the first Washington bank of purely local origin and interest. 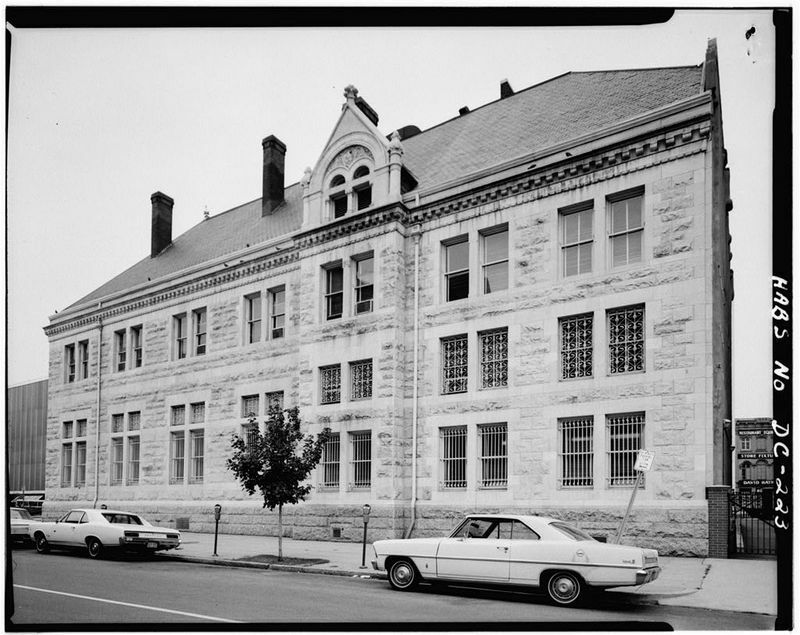 Built in 1888-1889 by Daniel J. Macarty thanks to the designs of architect James G. Hill, the building that currently exists was, and still is, one of the finest examples of Richardsonian Romanesque architecture in Washington today. 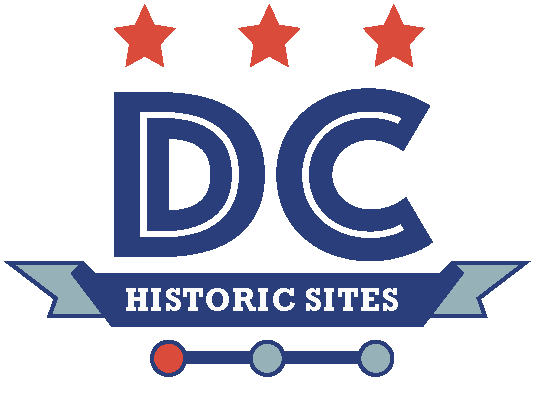 It is well located on a diagonal axis with the old City Hall near the convergence of Indiana and Pennsylvania Avenues, fronting the large open space--known as Market Square and Market Space--which was originally a focal point of the L'Enfant plan. 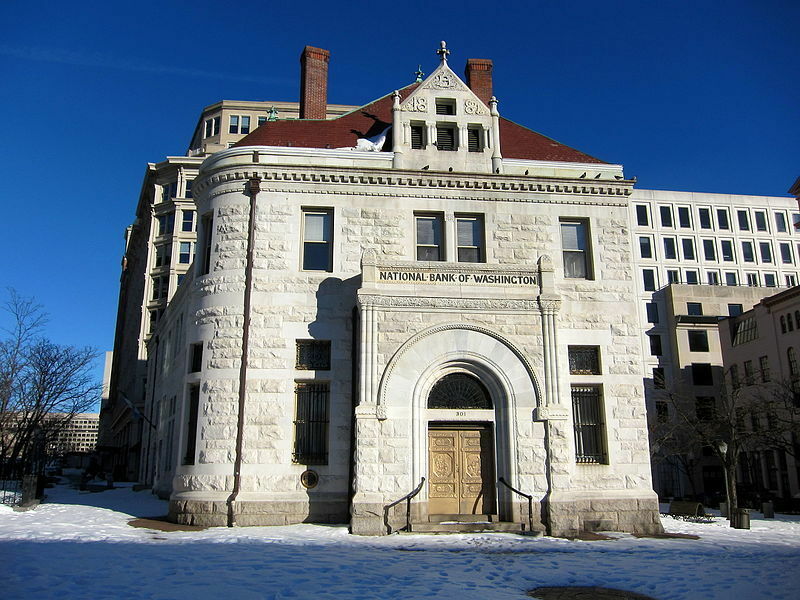 “National Bank of Washington,” DC Historic Sites, accessed April 24, 2019, https://historicsites.dcpreservation.org/items/show/409.